Taiwan Smart Map - Portable Smart Life Tour Guide! “Taiwan Smart Map” is an application that includes GPS, navigation, and various useful maps for daily life, tourism and recreation. You can use “Taiwan Smart Map” to easily search for your next destination. Through rapid navigation, you can understand the direction and distance of your destination in advance. You can easily contact your destination directly by browsing its official website and getting the telephone number beforehand,. 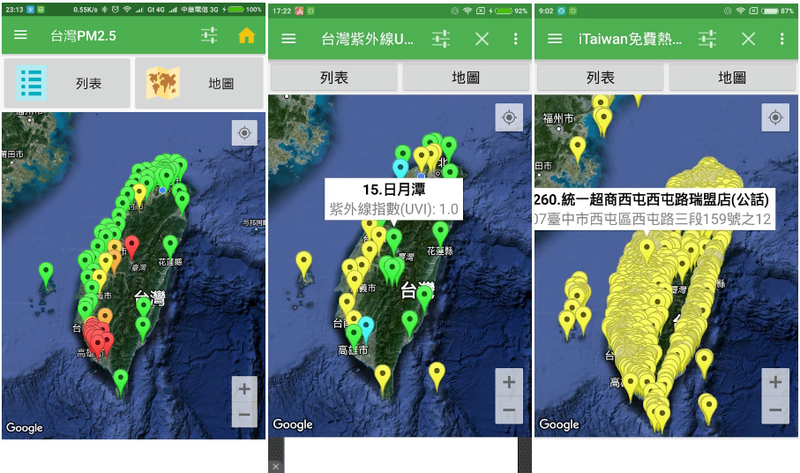 “Taiwan Smart Map” also collaborates with National Memory Database of Ministry of Culture, so that you can understand local stories and deepen cultural connotation of your trip. Maps for real-time environmental status: Real-time environmental radiation monitoring, PM2.5 and ultraviolet index. Maps for daily life: Inquiry service for free iTaiwan hotspot locations, police stations, towing lots and others throughout Taiwan. 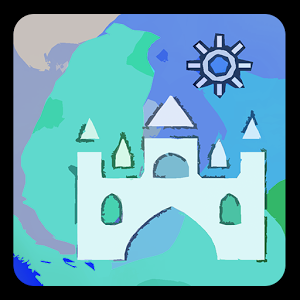 Maps for tourism and recreation: Tourist sites such as National Forest Recreation Areas, recreation farms, hot springs, cultural attractions, National Memory Database of the Ministry of Culture, and other information. Let Taiwan Smart Map be your portable smart life tour guide!